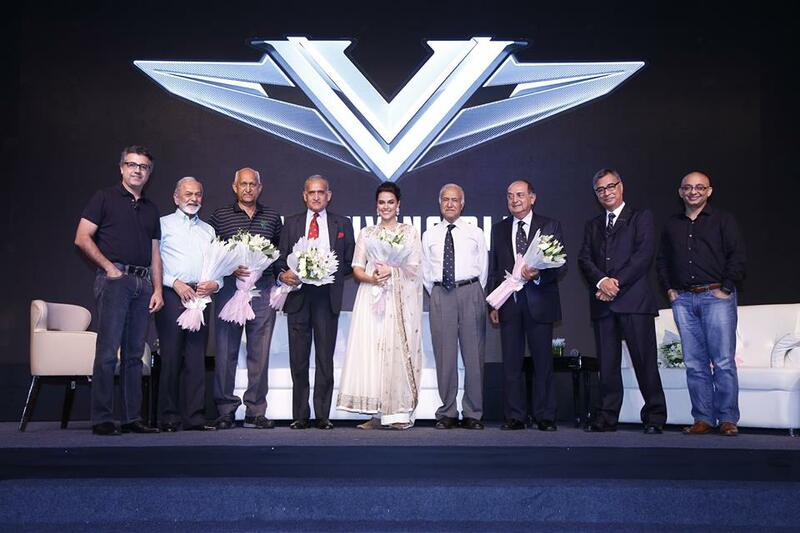 Leo Burnett and Bajaj V recently unveiled #SonsofVikrant, an inspiring documentary that brings together untold stories of valour, respect and pride – shared by the war veterans, who served aboard the invincible INS Vikrant, India’s first aircraft carrier. The screening of the documentary took place at a tribute gala in Mumbai in presence of influential personalities from the media, marketing and advertising fraternity. War veterans who are featured in the #SonsOfVikrant documentary graced the event and recounted anecdotes of bravery and sheer passion in a panel discussion moderated by actor Neha Dhupia, daughter of a naval officer. Admiral Arun Prakash, Rear Admiral SK Gupta, Rear Admiral Peter Debrass, Lt. Cdr. Ashok Sinha, Commodore Medioma Bhada, and Cdr. H.S. Rawat were among the war heroes who were part of the #SonsOfVikrant initiative. We saw lot of social media conversations and media interest on the Bajaj V which contains the metal of INS Vikrant. As we delved deeper into Vikrant and started talking to people who worked on it, we also realised that there are many untold stories and memories behind the naval battleship INS Vikrant and its Heroes. And since we had brought back the essence of Vikrant in the form of V, we realised that the onus was also on us to bring these stories together and share them with the nation. With Sons of Vikrant, our idea was to bring out the untold stories of INS Vikrant and the war veterans and share the feeling of Pride with millions. To create this documentary, we met many people who were part of the war to learn their stories. The footage ran into hours, which we had to bring down to 16 minutes. Bajaj V was unveiled on February 1, 2016, at a press conference in New Delhi.